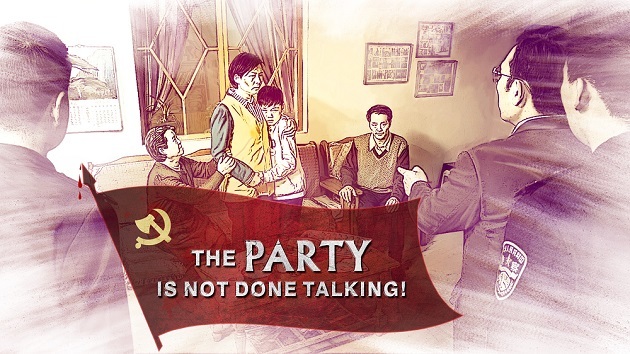 From the movie title “The Party Is Not Done Talking,” it is not difficult to see that the movie is completely a naked satire on the CCP. The movie tells about a real and moving story: Because of the CCP’s persecution and arrest of Christians, Li Ming’ai, a Christian, has to leave home and be on the run, but she finally is arrested and persecuted by the CCP police. As a result, she can’t reunite with her family and child. The CCP, however, unexpectedly distorts the facts and confuses right and wrong. They not only frame Christians for all the accusations, but disguise themselves as crusaders for justice. At the beginning of the movie, Li Ming’ai and her family are making dumplings and watching TV. But this heartwarming scene is interrupted by the dog’s rapid barking. Especially a shot penetrates deeply into the audience’s heart: Hearing the dog barking, the child turns his head back and sees the police coming; on account of his fear, he immediately rushes at his mother, almost turning over his stool. From such response of a child, we can surely imagine that he must have been startled like this before. After the CCP police enters the room, their series of questions and threats prove that they always go to Li Ming’ai’s home to disturb and warn her and her family. Moreover, it can be seen from the guileless and real response of the child that the constant disturbance brings great harm to this family. 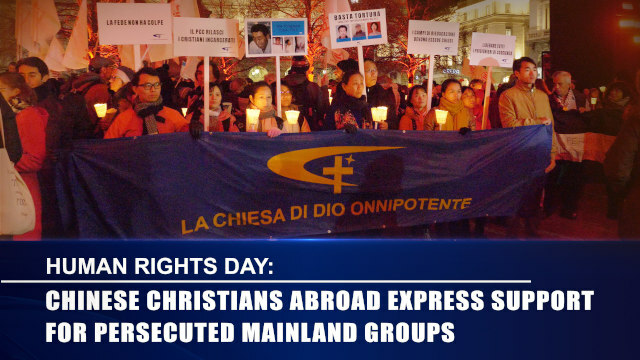 Externally the CCP government clearly proclaim that everyone enjoys freedom of religious belief, but internally, they rampantly hunt and persecute Christians. Why is this? Chief Wang’s seemingly plain statement reveals the root cause of the question. He says: “The CCP is an atheistic party. People will never be allowed to believe in God. Whoever believes in God will be arrested and fixed. This is the state policy!” “The state policy is the law.” These are from the mouth of the police himself. 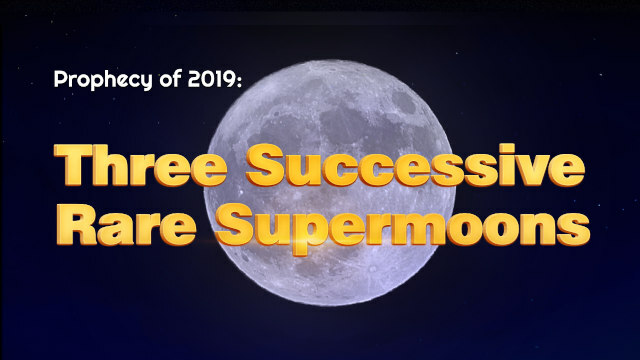 But they instead repeatedly emphasize that it goes against the law for Christians believing in God and preaching, and that it is Christians who don’t want families, who don’t take care of the old and the child. Isn’t this a thief crying “Stop thief” and a bare-faced lie? Even more hateful is that when Li Ming’ai secretly goes back home to see her son during the escape, she is targeted and almost arrested by the police. From then on, she is hunted by the local police all the time. 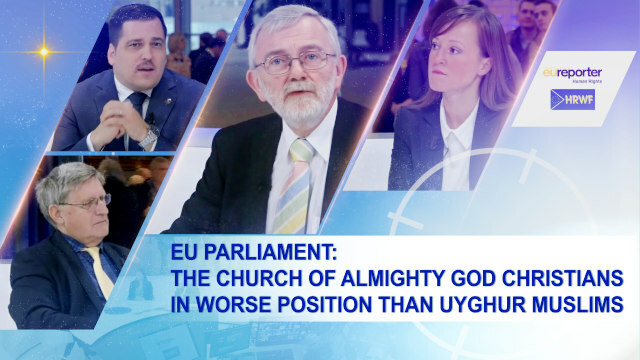 … It is obvious to see that how serious the CCP’s persecution of Christians is. 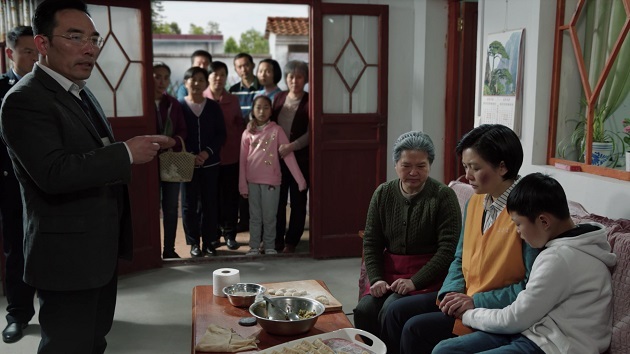 Because Li Ming’ai believes in God, the village headman often comes to her home to warn her, and deprives of her husband Yang Tao’s work, even confiscates the fish pond they contract for. In an atheistic country, if one believes in God, his family will also suffer. Doesn’t it deprive Christians of their rights to survival? Isn’t it backing Christians into a corner?! The violence of the CCP drives Yang Tao to oppose her faith in God, and even beat her for this. 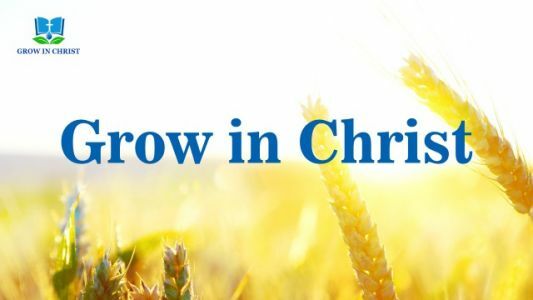 The CCP not only persecute Christians, but also use their power trying every means to instigate Christians’ family members to obstacle and oppose their believing in God. … Thus, the harmonious family is broken into pieces owing to the persecution of the CCP. However, in China, the CCP never slackens its persecution and arrest of Christians. Rather, it becomes fiercer than ever. Three years ago, thanks to Sister Gao’s conveying the message at risk to her own life, Li Ming’ai escapes the affliction. Whereas, at present, Li Ming’ai finally is followed and arrested by the police on the way to a gathering. In order to let Li Ming’ai give up her faith and betray the church, the police not only threaten and tempt her, but also hit and kick her, even forcefully shock her with the electric batons … The CCP police uses such malicious means to cruelly torture a Christian who neither breaks any laws, nor commits sins, and it indeed runs counter to the right principles! The constitution expressly stipulates that citizens have freedom of religious belief. The government doesn’t safeguard the Christians’ basic rights and interests of the freedom of belief, but rampantly hunts and persecutes Christians; they completely place themselves above the law. This is sufficient to prove that the CCP disregards the law and human rights. Once again, it proves with the facts that in China, under the domain of the CCP, there is no freedom of belief. It is merely words on a sheet of paper to deceive and fool people and the world. In the end, the captain of the National Security Team takes Li Ming’ai to her home and attempts to use her family to urge her to betray the church. Yet he says hypocritically: “This is the Party and national government’s care for you!” How disgusting such words are! Besides, Chief Wang deliberately spreads in the village about her returning home, to attract villagers to look on. His purpose is to humiliate and mock her in front of them, making her unable to bear it, thus betraying the church. At the same time, the police also aim to punish her as a warning to others and scare villagers by means of violent revolution, so that people will submit to the CCP’s despotic power and dare not resist and disobey its ruling. In front of the villagers, Captain Liu of the National Security Team confuses right and wrong again. He puts the misfortune of Li Ming’ai’s family on Li Ming’ai, and threatens her that if she still doesn’t confess, her son will be kicked out and can’t join the army or take the civil service examination in the future. … Facing with malice attack and violence of the CCP, Li Ming’ai doesn’t yield to them. Instead, she bravely stands up to retort and reveal their fallacies and evil behavior. This allows the villagers, who watch the fun and try to hit Li Ming’ai when she is down, to see clearly the truth of the fact. This movie does not merely reveal that the CCP won’t stop persecuting and arresting Christians. I think it is also a mirror of the CCP’s mock and oppression of people. Just like a cop in the movie says: “The CCP doesn’t care who you are. As long as you go against its policy, you’ll firmly be suppressed and banned!” Under the authoritarian regime of the CCP, everything is decided by the CCP. The common people don’t have the right to speak, even the just people will suffer the persecution of the CCP if they tell something fair and just for the sake of protecting the deserved rights and interests of Christians and the common people. These have already been common in China. Despite that people know clearly about the evil deeds of the CCP and complaints are heard everywhere, what can a common person do in the face of the CCP, the evil political party? Therefore, the story in the movie concerns every one of us. Aren’t you, me or him the same as the characters? Isn’t it Chinese people’s state of survival under the suppression and persecution of the CCP?! At the end of the movie, the word of Chief Wang—“You must listen to the Party! And follow the Party!” “In China, whoever doesn’t listen to the Party will come to no good end!”—even more reinforces this point. It is deeply significant and echoes with the movie’s name. It shows that as long as the CCP does not collapse, its oppression of people won’t slacken. I think this is the deep meaning that The Party Is Not Done Talking! wants to tell the audience. By Yichen Movie camera language is to use shots to convey the meaning of the story. Its ingenuity is that it can leave audience endless room to ponder. At the sight of the title Knocking at the Door, I cannot but think of the prophecy of Revelation: “Behold, I stand..
By Lin Fan, Czech Republic On seeing the film title, I was first attracted by the word “red.” Speaking of “red,” we naturally associate it with the red rule of the Communist Party. Then, in the movie Red Re-education at Home, needless to say, the scenarists will undoubtedly tell us.. The Lies of Communism Account of the CCP’s Brainwashing Review | CCP Tortures Christians Mentally Hello. Greetings, everyone! Welcome to this edition of Movie Reviews. The movie that we recommend for you today is The Lies of Communism: Account of the CCP’s Brainwashing. Here’s the background of the story: Chinese..